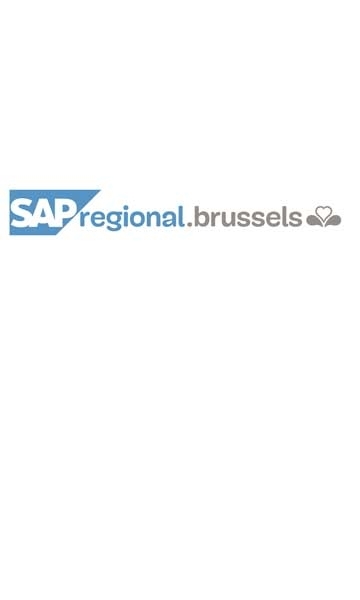 The regional SAP platform is a general accountancy, analytical and budgetary tool made available to the Brussels Region’s independent administrative agencies. At a lower cost for the agencies, it allows them to keep their general and budgetary accounts, to facilitate compliance with the Organic order over the budget, accounting and control (OOBCC) and allows a consolidation of the accounts of the agencies of the regional entity. In 2016, four new agencies joined the platform. SAP was implemented in the early 2000s at the SPRB. This platform integrates, among other things, general and budgetary accounting, as well as the workflows described in the reference legislation, the OOBCC. The Bru-Budget application used by all the independent agencies to establish their budget, transfer orders and to communicate their budget implementation, are integrated into it: the SAP data are transmitted to Bru-Budget and vice versa, which provides integration of the budgetary and general accounts in real time. A complementarity that quickly won over some independent agencies. Without consulting each other, the latter thus sent requests to the SPRB for SAP deployment. The very high cost for a single independent agency, regardless of its size, initially held the project back. However it allowed the idea of a shared platform to mature. Early in 2015, at the presentation of the Practical guide intended for independent agencies (FR/NL), the request was finally been expressed by several agencies concomitantly. Following the request of the independent agencies, the Government first decided to carry out a pre-study in March 2015. This was used to determine the costs and methods for implementing the SAP Regional platform. On 16 July 2015, the Government validated the implementation of the SAP regional platform for the first two pilot organisations thereby meeting the formal and explicit request of the users (the independent agencies) and the need for consolidation of the accounts at the regional level. During 2015, this decision allowed IT-coordination (Brussels Regional Coordination), Brussels Finances and Budget and the SAP Team to set up the platform for two pilot independent agencies, first trained to use the tool. This SAP regional platform is in line with the objectives of the government policy to make Brussels a Smart City and to make the existing tools available to other administrative authorities in order to increase performance for the benefit of services. At the regional level, SAP has therefore been chosen as the standard and is used to ensure above all that a tool that complies with the OOBCC rules is available. In 2016, the Urgent medical assistance service (SIAMU) , the administrative services of the Joint community commission (COCOM) (FR/NL), perspective.brussels and Brussels Prevention & Security (BPS) joined the platform. Six new organisations have made a request to join the SAP regional platform in 2017 and others have already applied for the following years.